P.P.S. Enjoy Abundance Insider? Consider joining Abundance Digital, Peter’s online educational portal and community of abundance-minded entrepreneurs. You’ll find weekly video updates from Peter, a curated newsfeed of exponential news, and a place to share your bold ideas. Click here to learn more and sign up. What it is: Researchers at the University of Washington have developed an automated system using robots to rapidly produce stem cell-derived mini-organs. While growing cells for biomedical research conventionally involves a lengthy culturing process within flat, 2D sheets, researchers have more recently been able to grow stem cells into 3D structures called organoids, or mini-organs, which resemble and behave much more similarly to human organs. 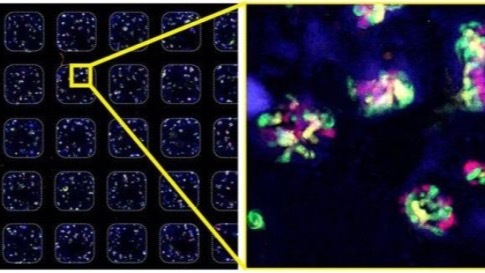 However, this is the first time a team has successfully automated the manufacture of organoids from pluripotent stem cells, vastly expediting mass production of organoids and opening up new opportunities for pharmaceutical experimentation. What it is: InterContinental Hotels & Resorts has teamed up with Baidu to launch AI smart rooms, marking the next generation of intelligent hospitality. 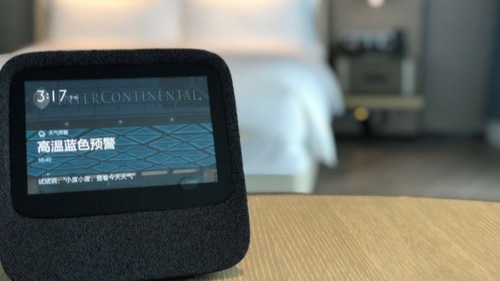 Building out an initial fleet of 100 AI-powered Club InterContinental suites across key Chinese cities in the next year, InterContinental is employing Baidu's DuerOS Platform to seamlessly integrate AI into one's living environments, embedding everything from voice control technology to backstage management systems. What it is: Researchers at Oxford have been experimenting with fully immersive VR to treat phobias like the fear of heights (acrophobia). Recently, the team took 100 volunteers, each clinically diagnosed with acrophobia. Over the course of 2 weeks, 51 volunteers received no treatment while the remaining 49 received six 30-minute sessions entirely in VR. During the sessions, a virtual coach guided and encouraged participants to gradually take on more risk, moving from throwing balls off ledges to saving a cat in a tree to walking on a platform without ledges. By the end of the study, 34 of the participants receiving VR therapy had improved so much that they would no longer have qualified for the study at the outset. What it is: Rolls-Royce -- an engineering firm independent from Rolls-Royce Motor Cars -- is designing and developing nature-inspired, centimeter-scale maintenance robots. These robots will operate in insect-like-swarms, crawling inside engines to carry out inspections and perform maintenance. Rolls-Royce is collaborating with Harvard and the University of Nottingham to bring these miniature devices to market, enabling us to dynamically (i.e. with the ability to move around) access the innards of complicated jet engines. This technology will allow previously hidden nooks and crevices to be inspected and repaired. What it is: In preparation for Amazon Prime Day, Amazon India launched 10 VR kiosks in popular malls across the country, transplanting kiosk visitors into a virtual world full of Prime Day products. Carried into a virtual city via hot air balloon, users can digitally explore physical spaces reflective of Amazon’s e-commerce sections -- fashion, bath and beauty, kitchen and dining, and even tech-laden interior design. See how a fridge might look from different angles (or peer inside!) within a designer kitchen setting, or test the fit of a dress by viewing it on a hologram in different sizes. What it is: Since its purchase in 2015, a Tesla Model S 90D has logged over 400,000 driving miles. The Model S was the first car purchased by Tesloop, a shuttle service company that offers rides on select routes in Southern California and Nevada. L.A.-based teenager Haydn Sonnad founded Tesloop because he wanted to own a Model S and needed a mechanism to finance the purchase. Over the last three years, Tesloop has only had to send the Model S in for three major maintenance jobs, totaling around $19,000 in expenses, or about $0.05 per mile. For comparison, maintaining a internal combustion engine (ICE) Lincoln Town Car costs about $0.22 per mile -- over four times the per-mile maintenance of the Tesla.